FORT LAUDERDALE, FL--(Marketwired - Jul 28, 2015) - DubLi Network, the world's largest ecommerce direct selling company, today announced the appointment of Ricky Frank as Chief Network Officer. Mr. Frank is the second senior level network marketing leader to join DubLi Network in 2015, following Jerry Yerke's appointment in January to Chief Network Officer. Mr. Frank joins DubLi Network following an extensive career focused on sales training, marketing, personal growth and development programs. He has reached the top ranking in every network marketing company he has participated in and has built among the world's largest downline organizations. Mr. Frank began his multi-level marketing career in 1987 with NSA where he reached the rank of National Market Director in two positions. He left NSA in 1992 to become a Founding Distributor and International Marketing Director of Equinox International which, at that time, became #1 on the Inc. Magazine 500 list. From 2002-2007, Mr. Frank was one of the original Sweet 16 Premiers of XanGo, ranking #4 of the first 16. Following XanGo, he spent two years with MonaVie where he reached the rank of Blue Diamond. 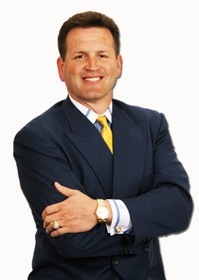 Since 2010, Mr. Frank has been a sought after consultant for a variety of sales and MLM companies. Michael Hansen, Founder of DubLi Network, stated, "We are pleased to have someone of Ricky's caliber join the DubLi Network management team. We continue to strengthen the DubLi Network team with leaders of diverse yet complimentary backgrounds to better develop our field of independent distributors. Ricky's expertise in training, as well as personal and professional development will enhance our ongoing efforts to maximize the education, culture and philosophy we strive to achieve throughout the entire DubLi Network organization." DubLi.com is a global leader in online shopping and Cashback rewards to customers worldwide. DubLi is emerging as a leading ecommerce platform offered through network marketing, currently serving customers in more than 120 countries. E-shoppers can browse through different categories, which feature international and local brands, travel, coupons, discounts and vouchers. DubLi has adapted its multilingual and multi-regional ecommerce platform to serve 12 international markets in local language and currency to strengthen its global ecommerce presence and encourage sales in its countries of operation. Depending on the market, DubLi.com features the world's most popular brands including Amazon.in, Walmart, Nike, Hotels.com, Zalando, Groupon and Expedia. Since its founding by Michael Hansen in 2003, DubLi has offered entrepreneurs the opportunity to create their own distributor organization by joining the direct sales company, DubLi Network (dublinetwork.com). The global network of independent distributors generates traffic and the resulting sales to DubLi.com as well as markets a variety of memberships. DubLi and DubLi Network are subsidiaries of Ominto, Inc. and are headquartered in Fort Lauderdale, Florida. This document contains forward-looking statements that involve substantial risks and uncertainties. All statements, other than statements of historical facts, included in this press release regarding DubLi's strategy, future operations, future financial positions, prospects, plans and objectives of management are forward-looking statements. Without limiting the generality of the foregoing, words such as "may," "will," "to," "plan," "expect," "believe," "anticipate," "intend," "could," "would," "estimate," "target" or "continue" and similar expressions (or the negative of these terms) are intended to identify forward-looking statements. These forward statements include, among other things, statements about management's estimates regarding future revenues and financial performance and other statements about management's beliefs, intentions or goals. DubLi may not actually achieve the expectations disclosed in the forward-looking statements and you should not place undue reliance on DubLi's forward-looking statements. These forward-looking statements involve risks and uncertainties that could cause actual results or events to differ materially from the expectations disclosed in the forward-looking statements, including, but not limited to: our ability to successfully obtain consumer and/or market acceptance of our membership Cashback program; the ability to attract customers who purchase through our website; our ability to obtain additional funding and/or generate sufficient working capital to fund our operations; the ability to establish and/or maintain a large growing base of productive business associates; the ability to obtain and maintain digital coupon content on our website; the risks related to DubLi's ability to manage its growth, including accurately planning and forecasting its financial results; the competitive environment for DubLi's business; DubLi's ability to protect consumer data and our intellectual property; the ability to adapt to mobile and technological change; the need to manage regulatory, tax and litigations risk; DubLi's ability to manage international business uncertainties; along with other risks and potential factors that could affect DubLi's business and financial results identified in Ominto, Inc.'s filings with the Securities and Exchange Commission, including its Annual Report on Form 10-K for the fiscal year ended September 30, 2014.